It is a great relief to those millions around the world who were moved to prayer and action by Khader Adnan’s extraordinary hunger strike of 66 days that has ended due to Israel’s agreement to release him on April 17. We who were inspired by such a heroic refusal to accept humiliation and arbitrary arrest can only hope that for the sake of his family, for the cause of Palestinian resistance, and for the struggle to achieve a just peace that Mr. Adnan will fully recover to resume his personal and political life. We can not take for granted that there will be a full recovery given Mr. Adnan’s critical condition confirmed by examining doctors, just prior to his decision on February 21 to resume eating in a normal manner. While it is appropriate to celebrate this ending of the strike as ‘a victory’ there are several disturbing features that deserve comment. To call an arrangement that saved someone’s life a ‘deal,’ as the media consistently put it, is itself demeaning, and reveals at the very least a failure to appreciate the gravity and deep dedication of purpose that is bound up with such a nonviolent form of resistance. Similarly, the carelessness of the initial reactions was notable, often referring to Mr. Adnan’s ‘release’ when in fact he will be still held in administrate detention for several more weeks, and could conceivably be confined much longer, should Israeli military authorities unilaterally decide that ‘substantial evidence’ against him emerges in this period immediately ahead. It should also be noted that on matters of policy and principle Israel did not retreat even an inch: in relation to Mr. Adnan, he will be remain in captivity and will be subject to the ‘legal’ possibility that his period of imprisonment could still be extended indefinitely; beyond this, Israeli authorities express no willingness whatsoever to review the cases of the 309 other Palestinians who are presently being held under the administrative detention procedure. These Palestinians being held include one prisoner detained for more than 5 years, and 17 others for periods of 2-4 years. Israel did not even agree to a review of their misapplications of this administrative procedure within their own frameworks of claims about addressing imminent security threats. The general justification of administrative procedures by governments that rely upon it is to insist that its use is reserved for true and credible emergency situations. But as Mustafa Barghouti points out in the New York Times (February 22, 2012) such a claim strains credulity past the breaking point in the Israeli case. Barghouti writes tellingly that it is worth observing “that among..[those] Palestinians now held in ‘administrative detention’ are 21 of the 120 elected members of the Palestinian Legislative Council, most of whom have been held for years for no apparent crime other than being democratically elected in 2006, in an election universally regarded as free and fair, as candidates of the party which won a clear majority of seats but which Israel does not like.” In other words, the Israeli claims of exceptional circumstances taking precedence over due process protections do not exist in many of the evident political uses of administrative detention as a means of weakening all forms of Palestinian resistance, including nonviolent opposition politics. It should also be noted that Israeli commentary treated the arrangement ending the standoff produced by the hunger strike with measured cynicism if not disdain. 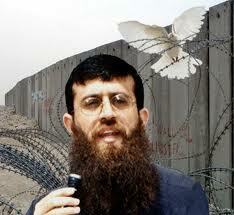 Even those Israeli who supported the agreement justified it as a practical way of avoiding trouble down the road should Khader Adnan have died while held by Israelis, given the breadth and depth of support his extended hunger strike was receiving among Palestinians and sympathizers from around the world. Keeping Mr. Adnan alive was also seen by Israelis as a means to avoid a wider scrutiny of the institution and practice of administrative detention as it has been used by the Israeli military ‘justice’ system. Also the timing of the announcement of the arrangement is significant. It was made an hour before an emergency session of the Israeli Supreme Court that was scheduled to hear Mr. Adnan’s petition for release, and there is speculation that although this highest judicial body in Israel has in the past consistently supported the military position in such instances, the situation was so extreme that it might prove embarrassing for Israeli military authorities. There were even some worries on the Israeli side that the extremities of this case could produce an adverse result and even a repudiation of the manner in which Israeli authorities used administrative detention as a procedure allegedly for security, but seemingly for the harassment and intimidation of militant opponents of an oppressive occupation that has continued for 45 years and is aggravated by continuously appropriating Palestinian land and water for the benefit of settlement expansion while disrupting and cleansing long-term Palestinian residency. What was entirely absent from the Israeli public discourse was some expression of compassion, even if only for the family of Mr. Adnan, which consists of two daughters of four years or less and his articulate pregnant wife, Randa. There was not even the slightest show of respect for the dignity of Mr. Adnan’s long hunger strike or sympathy for the acute suffering that accompanies such a determined foregoing of food and speech for an extended period. Instead, the Israeli commentary that was supportive of the arrangement stressed only pragmatic considerations from the perspective of Israel’s interests. It was one more lost opportunity for Israelis of all shades of opinion to reach across the abyss of political conflict to affirm a common humanity. But in a contrary spirit, the spokesperson for the Netanyahu government, Mark Regev, seemed only interested in deflecting criticism directed at Israel. He parried criticism by cynically observing that other governments rely on administrative dentention in the name of security, including the United States, so why shouldn’t Israel. He also added that the legality of Israel’s use of administrative detention should not be questioned since it depended not on an Israeli law, but on a 1946 law enacted when Britain was controlling Palestine, unintentionally conceding that Israel was the ‘colonial’ successor to the British! If the legal veil is lifted from administrative detention its character is one of ‘internment,’ a standard practice of colonial powers in dealing with unruly natives. The issues directly raised by this hunger strike are ones of human rights and humane treatment, as well as reliance on administrative detention, and are quite independent of whether or not we endorse Mr. Adnan’s past and present tactics of resistance, which are not at all clear. Some apologists for Israel have tried to deflect these ethical and legal concerns by emphasizing Mr. Adnan’s association with Islamic Jihad and its record of violent attacks and extremist politics. Israelis casually refer to Mr. Adnan as a ‘terrorist’ without charges or proof. He has, in fact, been most often described in recent years more neutrally by those knowledgeable about his role and activities as a spokesperson for Islamic Jihad, but not engaged beyond this. There is no indication in his past or present that he was directly involved in violence, although an undated and unverified YouTube video has surfaced somewhat suspiciously in which Mr. Adnan is depicted as advocating violent resistance and an active recruiter of suicide bombers. Although Islamic Jihad has been responsible in the past for suicide bombings it has seemingly abandoned the practice, which is in line with the repudiation of such forms of violent resistance by Hamas more than ten years ago. Mr. Adnan’s prior arrests stemmed from militant peaceful demonstrations that landed him in Israeli jails seven times, a Palestinian Authority prison once, and induced him to undertake shorter hunger strikes on three previous occasions, one as recently as 2010. From what is known, Mr. Adnan is definitely a committed activist who has associated himself with Islamic Jihad, but works on a daily basis as a village baker and maintains a strong family role and popular community presence in his small West Bank town of Arraba. It is important to pause long enough to take account of Khader Adnan’s achievement, symbolically, substantively, and with respect to future possibilities. We should note that Mr. Adnan’s hunger strike of 66 days is the exact length of Bobby Sands’ hunger strike in 1981 strengthening the bond between the two men, a bond that has been movingly confirmed by a number of Irish family members of their strikers. What is more, the date of Bobby Sands’ death, May 5, 1981, is generally viewed as the turning point in the Irish struggle, the time when the British Government finally started treating the IRA as a political actor with genuine grievances rather than as a terrorist organization that must be run into the ground and exterminated. We can only hope that Febuary 21, 2012 will live in history as a turning point in the Palestinian struggle. Only the future will reveal whether this is a pious wish on my part or becomes over time a historical reality. Substantively, it is crucial to support a campaign to free the other several hundred Palestinians currently being held in administrative detention and to exert enough pressure to end reliance on the practice altogether. Mr. Adnan’s brave stand will have been mostly without effect if his compelling exposure of the cruelty and arbitrariness of Israeli reliance on administrative detention is allowed to slip from view now that his strike is over. Instead, knowing what we have come to know, it is the responsibility of all of us to do all we can to discredit and force the abandonment of administrative detention by Israel, and as well, challenge its role in the United States and elsewhere. A fitting tribute to Mr. Adnan’s hunger strike would be to put opposition to administrative detention on the top of the human rights agenda throughout the world. We should begin by refusing to use the phrase ‘administrative detention,’ rechristening it as ‘administrative torture’ or ‘lawless captivity,’ and associate with past colonial and present authoritarian tendencies of ‘democratic’ governments. And finally, we will know the enduring significance of Mr. Adnan’s self-sacrifice by what takes place in the future. Will this event, possibly along with other influences, inspire a greater commitment to the Palestinian struggle for peace, justice, and liberation in occupied Palestine and throughout the world? Maybe ‘the regional threat’ that was being referred to by the Israeli official justifying Mr. Adnan’s detention was an indirect, and hopefully accurate reference to the growing impact of the positive sides of the Arab Spring, that is, as an occasion prompting a further awakening of self-empowerment among Palestinians both in relation to their struggle and in their renewed quest for unity among themselves. In effect, let us hope that Khader Adnan’s bravery becomes contagious and will be remembered as a charismatic event in the long narrative of the Palestinian struggle for self-determination. The world watches as tragedy unfolds beneath its gaze as Khader Asnan enters his 63rd day as a hunger striker in an Israeli prison being held under an administrative detention order without trial, without charges, and without any indication of the evidence against him. From the outset of his brutal arrest by scores of soldiers, featuring blindfolding, cuffing, and physical roughness in the middle of the night, a gratuitous ritual enacted the presence of his wife and young daughters Khader Adnan has been subject to the sort of inhumane and degrading treatment that is totally unlawful and inexcusable, and an assault on our moral justification. At present, approximately 300 other Palestinians are being held in administrative detention, and Mr. Adnan has indicated that his protest is also on their behalf, and indeed against the practice of administrative detention itself. The only plausible explanation of such Israeli behavior is to intimidate by terrifying all Palestinians who have lived for almost 45 years under the yoke of an oppressive occupation that continuously whittles away at Palestinian rights under international humanitarian law, especially their right to self-determination, which is encroached upon every time a new housing unit is added to the colonizing settlements that dot the hilltops surrounding Jerusalem and throughout the West Bank. While Palestinian prospects of a viable political future are continuously diminished by Israeli expansionism the world politely watches in stunned silence. Only resistance from within and solidarity worldwide can provide the Palestinians with hope about their future. They have been failed over and over again by the UN, by the EU, by their Arab neighbors, and above all by that global leader beholden to Israel whose capital is in Washinton, D.C.! It is only against this broader background that the importance of Khader Adnan’s resistance to the continuing struggle of Palestinians everywhere can begin to be appreciated as a political act as well as an insistence on the sacred dignity of the human person. The case of Khader Adnan is a revealing microcosm of the unbearable cruelty of prolonged occupation, and the contrast that is drawn in the West between the dignity of a single Israeli prisoner held in captivity and the steadfast refusal to be attentive to the abuse of thousands of Palestinians languishing in Israeli jails through court sentence or administrative order. Mr. Adnan’s father poignantly highlighted this contrast a few days ago by reference to Gilad Shalit, the Israeli soldier held by Hamas in captivity for several years and recently released in good health: “Where are the mother and father of Gilad Shalit? Do they not feel for me in this humanitarian case? Where are they?” The comparison pointedly suggests that it is Mr. Adnan who is the more deserving of such a global outpouring of concern: “My son was arrested from his house, from among his wife and children, was taken prisoner. He was not carrying any weapon. Whereas Shalit was fighting against the people of Gaza, and destroying their homes, and firing upon, and Shalit was released.” In fact, Shalit has not been personally associated with violence against the Palestinians and their property, but he was operating as a member of the IDF that has been consistently engaged in such activity, frequently in stark violation of international humanitarian law. While Shalit was being held foreign authority figures, from the UN Secretary General on down, displayed their empathy not only for Shalit but for the intense anxiety experienced by Israelis concerned for the wellbeing of Shalit, but these same personalities are notably silent in the much more compelling ordeal taking place before our eyes in the form of Mr. Adnan’s captivity seemingly unto death. It should not be surprising that surviving family members of IRA hunger strikers should step forward to express solidarity with Mr. Adnan and the compare the Irish transforming acts of resistance in 1981 (ten hunger strikers died, and Britain shifted from counterterrorism to a politics of reconciliation) to that of the Palesinians, increasingly referring to Khader Adnan as the West Bank Bobby Sands. 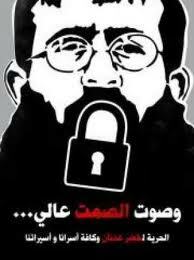 Addameer, the respected Palestinian NGO concerned with prisoner issues, “holds Israel accountable for the life of Khader Adnan, whose health has entered an alarmingly critical stage that will now have irreversible consequences and could lead to his fatal collapse at any moment.” Physicians who have observed his current condition conclude that, at most, Mr. Adnan could live a few more days, saying that such a hunger strike cannot be sustained beyond 70 days in any event. Any attempt at this stage to keep Mr. Adnan alive by forced feeding would be widely viewed as a violation of his right to life and is generally regarded as a type of torture. Finally, the reliance by Israel on administrative detention in cases of this sort is totally unacceptable from the perspective of international law, including the Geneva Conventions, especially so with no disclosure of the exceptional circumstances or evidence that might warrant for reasons of imminent security the use of such an extra-legal form of imprisonment for a few days. Given the number of Palestinians being held in a manner similar to that of Mr. Adnan, it is no wonder that sympathy hunger strikes among many Palestinians in and out of Israeli jails are underway as expressions of solidarity. Have we not reached a stage in our appreciation of human rights that we should outlaw such barbarism by state authorities, which is cunningly shielded from critical scrutiny by the anonymity and bureaucratic neutrality of the term ‘administrative detention’? Let us hope and make sure that the awful experience of Khader Adnan does not end with his death, and let us hope and do everything in our power to encourage a worldwide protest against both administrative detention and prisoner abuse and by the government of Israel, and in due course elsewhere. The Palestinian people have suffered more than enough already, and passivity in the face of such state crimes is an appalling form of complicity. We should expect more from our governments, the UN, human rights NGOs, and ourselves! I am publishing here my press release of today expressing urgent concern about the fate of Khader Adnan, a Palestinian activist, who is near death resulting from his continuing hunger strike that expresses his refusal to accept the humiliating conditions of imprisonment without charges and accompanied by an Israeli court approved denial of visitation rights to his wife. Please do whatever you can to exert pressure to obtain the immediate release of Mr. Adnan, and to make the world aware that Israel is responsible for respecting his rights and protecting his wellbeing. The text below is released under the auspices of the UN Office of the High Commissioner of Human Rights, and prepared in my role as Special Rapporteur for Occcupied Palestine of the Human Rights Council. > the international community to intervene on his behalf. > responsibilities under international law, most urgently with regard to Mr.
> undertaking a fact-finding mission to the region. > his mission to the Human Rights Council in June 2012. > was originally established in 1993 by the UN Commission on Human Rights. > (0)79 509 0557 / kturner@ohchr.org) or write to sropt@ohchr.org. A confusing controversy between the United States and Egypt is unfolding. It has already raised tensions in the relationship between the two countries to a level that has not existed for decades. It results from moves by the military government in Cairo to go forward with the criminal prosecution of 43 foreigners, including 19 Americans, for unlawfully carrying on the work of unlicensed public interest organizations that improperly, according to Egyptian law, depend for their budget on foreign funding. Much has been made in American press coverage that one of the Americans charged happens to be Sam LaHood, son of the present American Secretary of Transportation, adopting a tone that seems to imply that at least one connected by blood to an important government official deserves immunity from prosecution. Washington has responded with high minded and high profile expressions of consternation, including a warning from Hilary Clinton that the annual aid package for Egypt of $1.5 billion (of which $1.3 billion goes to the military) is in jeopardy unless the case against these NGO workers is dropped and their challenged organizations are allowed to carry on with their work of promoting democracy in Egypt. And indeed the U.S. Congress may yet refuse to authorize the release of these funds unless the State Department is willing to certify that Egypt is progressing toward greater democratization. President Obama has indicated his intention to continue with the aid at past levels, given the importance of Egypt in relation to American Middle Eastern interests, but as in so many other instances, he may give way if the pressure mounts. The outcome is not yet clear as an ultra-nationalistic Congress may yet thwart Obama’s seemingly more sensible response to what should have been treated as a tempest in a teapot, but for reasons to be discussed, has instead become a cause celebre. The Americans charged are on the payroll of three organizations: International Republican Institute (IRI), Democratic National Institute (DNI), and Freedom House. The first two organizations get all of their funding from the U.S. Government, and were originally founded in 1983 after Ronald Reagan’s speech to the British Parliament in which he urged that help be given to build the democratic infrastructure of newly independent countries in the non-Western world put forward as a Cold War counter-measure to the continuing appeal of Marxist ideologies. From the moment of their founding IRI and DNI were abundantly funded by annual multi-million grants from Congress, either directly or by way of such governmental entities as the U.S. Assistance for International Development (USAID) and the National Endowment for Democracy. IRI and DNI claim to be non-partisan yet both are explicitly affiliated with each of the two political parties dominant in the United States, with boards, staffs, and consultants drawn overwhelmingly from former government workers and officials who are associated with these two American political parties. The ideological and governmental character of the two organizations is epitomized by the nature of their leadership. Madeline Albright, Secretary of State during the Clinton presidency, is chair of the DNI Board, while former Republican presidential candidate and currently a prominent senator, John McCain, holds the same position in the IRI. Freedom House, the third main organization that is the target of the Egyptian crackdown also depends for more than 80% of its funding from the National Endowment for Democracy and is similarly rooted in American party politics. It was founded in 1941 as a bipartisan initiative during the Cold War by two stalwarts of their respective political parties, Wendell Wilkie and Eleanor Roosevelt. It is hardly surprising that a more honest label is avoided as its use would call attention to the problematic character of the undertakings: namely, disguised intrusions by a foreign government in the internal politics of a foreign country with fragile domestic institutions of government by way of behavior that poses at the very least a potential threat to its political independence. With such an altered interpretation of the controversy assumes a different character. It becomes quite understandable for the Egyptian government seeking to move beyond its authoritarian past to feel the need to tame these Trojan Horses outfitted by Washington. It would seem sensible and prudent for Egypt to insist that such organizations, and especially those associated with the U.S. Government, be registered and properly licensed in Egypt as a minimum precondition for receiving permission to carry on their activities in the country, especially on matters as sensitive as are elections, political parties, and the shaping of the legal system. Surely the United States, despite its long uninterrupted stable record of constitutional governance, would not even consider allowing such ‘assistance’ from abroad. If it had been proposed by, say, Sweden, an offer of help with democracy would have been immediately rebuffed, and rudely dismissed as an insult to the sovereignty of the United States despite Sweden being a geopolitical midget and U.S. being the gorilla on the global stage. And these Washington shrieks of wounded innocence, as if Cairo had no grounds whatsoever for concern, are either the memory lapses of a senile bureaucracy or totally disingenuous. In the past it has been well documented that IRI and DNI were active in promoting the destabilization of foreign governments that were deemed to be hostile to the then American foreign policy agenda. The Reagan presidency made no secret of its commitment to lend all means of support to political movements dedicated to the overthrow of left-leaning governments in Latin America and Asia. The most notorious instances involving the use of IRI to destabilize a foreign government is well known among students of American interventionist diplomacy. For instance IRI funds were extensively distributes to anti-regime forces to get rid of the Aristide government in Haiti, part of a dynamic that did lead to a coup in 2004 that brought to power reactionary political forces that were welcomed and seemed far more congenial to Washington’s ideas of ‘good governance’ at the time. IRI was openly self-congratulatory about its role in engineering a successful effort to strengthen ‘center and center/right’ political parties in Poland several years ago, which amounts to a virtual confession of interference with the dynamics of Polish self-determination. Although spokespersons for these organizations piously claim in their responses to these recent Egyptian moves against them to respect the sovereignty of the countries within which they operate, and especially so in Egypt. Even if these claims are generally true, ample grounds remain for suspicion and regulation, if not exclusion, on the part of a territorial government. An insistence upon proper regulation seems entirely reasonable if due account is taken of the numerous instances of covert and overt intervention by the United States in the political life of non-Western countries. Against such a background, several conclusions follow: first, the individuals being charged by Egypt are not working for genuine NGOs or civil society institutions, but are acting on behalf of informal government organizations or IGOs; secondly, the specific organizations being targeted, especially the DNI and IRI are overtly ideological in their makeup, funding base, and orientation; and thirdly, there exist compelling grounds for a non-Western government to regulate or exclude such political actors when due account is taken of a long American record of interventionary diplomacy. Thus the Washington posture of outrage seems entirely inappropriate once the actions of the Egyptian government are contextually interpreted. Yet the full story is not so simple or one-sided. It needs to be remembered that the Egyptian governing process in the year since the uprising that led to the collapse of the Mubarak regime has been controlled by the Supreme Council of the Armed Forces (SCAP), which is widely believed by the Egyptian public to be responsible for a wave of repressive violence associated with its fears that some democratic demands are threatening their position and interests in the country. A variety of severe abuses of civilian society have been convincingly attributed to the military. As well the military is responsible for a series of harsh moves against dissenters who blog or otherwise act in a manner deemed critical of military rule. In effect, the Egyptian government, although admittedly long concerned about these spurious NGOs operating within its territory even during the period of Mubarak rule, is itself seemingly disingenuous, using the licensing and funding technicalities as a pretext for a wholesale crackdown on dissent and human rights so as to discipline and intimidate a resurgent civil society and a radical opposition movement that remains committed to realizing the democratic promise of the Arab Spring. There is another seemingly strange part of the puzzle. Would we not expect the United States to side the Egyptian military with which it worked in close harmony during the Mubarak period. Why would Washington not welcome this apparent slide toward Mubarakism without Mubarak? Was this not America’s preferred outcome in Egypt all along, being the only outcome that would allow Washington to be confident that the new Egypt would not rock the Israeli boat or otherwise disturb American interests in the region. There is no disclosure of U.S. motives at this time for its present seemingly pro-democracy approach, but there are grounds for thinking Washington may be reacting to the success of the Muslim Brotherhood and the Nour (Salafi) Party in the Egyptian parliamentary elections and even more so to the apparent collaboration between these parties and the SCAF in planning Egypt’s immediate political future. In such a setting it seems plausible that sharpening state/society tensions in Egypt by siding with the democratic opposition would keep alive the possibility of a secular governing process less threatening to U.S./Israeli interests, as well as inducing Egypt itself to adopt a cautious approach to democratic reform. Maybe there are different explanations more hidden from view, but what seems clear is that both governmental in this kafuffle have dirty hands and are fencing in the dark at this point, that is, mounting arguments and counter-arguments that obscure rather than reveal their true motivations. In the end, Egypt, along with other countries, is likely to be far better off if it prohibits American IGOs from operating freely within its national territorial space, especially if their supposed mandate is to promote democracy as defined and funded by Washington. This is not to say that Egyptians would not be far better off if the SCAF allowed civilian rule to emerge in the country and acted in a manner respectful of human rights and democratic values. In other words what is at stake in this seemingly trivial controversy lies hidden by the smokescreens relied upon by both sides in the dispute: weighty matters of governance and democracy that could determine whether the remarkable glories of the Arab Spring mutate in the direction of a dreary Egyptian Autumn, or even Winter. After the atomic bombs were dropped on Hiroshima and Nagasaki, and the colossal scale of devastation disclosed, there was a momentary embrace of sanity and rationality by world leaders and cultural commentators. There was a realization that living with such weaponry was at best a precarious journey into the future, and far more likely, an appointment with unprecedented human catastrophe if not apocalypse. This dark mood of foreboding did produce some gestures toward nuclear disarmament tabled initially by the U.S. Government, but in a form that reasonably struck others at the time, especially the Soviet Union, as a bad bargain—the U.S. was proposing getting rid of the weapons for the present, but retaining the materials, the technology, and the experience needed to win handily any nuclear rearmament race. In other words, the United States offered the world a Faustian Bargain that rested on bestowing trust upon the dominant geopolitical actor on the global stage, and depended crucially on Soviet willingness to go along on such a basis, an option that never seriously tempted the Stalinist approach to world order. It should not seem surprising then or now that given the political consciousness of those running the strongest and richest modern states, that this kind of one-sided deal was not an attractive response to nuclear weaponry. Even the governments most closely allied with the United States in World War II, the United Kingdom and France, were unwilling to forego the status and claimed security benefits of becoming second tier nuclear weapons state. And of course, America’s rivals, first, the Soviet Union and later China, never hesitated to develop their own nuclear weapons capability, interpreting security and global stature through the universal geopolitical optic of countervailing hard power, that is, maximizing military capabilities to defend and attack. Thus disarmament faded into the obscurity of wishful thinking, and in its place a costly and unstable nuclear arms race ensued during the whole of the Cold War, with an array of situations that came close to subjecting humanity to the specter of a nuclear war. That this worst of all nightmares never materialized provides little reassurance about the future, especially if public and elite complacency about the risk of nuclear warfare persists. What is less appreciated than this failure to eliminate the weaponry in the immediate aftermath of World War II was the adoption and implementation of a Plan B. The United States pushed hard for the negotiations that led in 1968 to the Nuclear Nonproliferation Treaty, which was successfully marketed to most states in the world. The NPT represented a one-sided bargain in which non-weapons states agreed to give up their weapons option in exchange for two commitments by nuclear weapons states: to share fully the non-military benefits of nuclear technology, especially relating to producing energy that was early on expected to be both clean and cheap; and to undertake in good faith efforts to achieve nuclear disarmament as the earliest possible time, and even to go further, and to work toward the negotiation of general and complete disarmament. This nonproliferation agreement over the years, although a success in Western realist circles, has experienced a number of discrediting setbacks: a few countries with nuclear weapons ambitions stayed outside the treaty and managed to acquire the weaponry without adverse consequences to themselves (India, Pakistan, Israel), while others (Iraq, Iran) have been attacked or threatened because they were suspected of seeking nuclear weapons; there has been a virtual failure of will to seek nuclear disarmament despite a unanimous World Court reaffirmation of the NPT obligations in its 1996 Advisory Opinion on The Legality of Nuclear Weapons; and there has been a discriminatory pattern of geopolitical management of the NPT, most notably ignoring Israel’s nuclear weapons program while treating Iran’s alleged pursuit of a breakout capability as justifying recourse to war. This nonproliferation approach has been accompanying by three massive forms of deception that continues to mislead public opinion and discourage serious debate about the benefits of nuclear disarmament even at this late stage: First, the fallacious implication that the states that do not possess nuclear weapons are currently more dangerous for world peace than the states that possess, develop, and deploy these weapons of mass destruction, and have used them in the past; secondly, that periodic managerial moves among nuclear weapons states, in the name of arms control, are steps in the direction of nuclear disarmament—nothing could be further from the truth as arms control aims to save money and stabilize reliance on nuclear weaponry by way of deterrence, and is generally averse to getting rid of the weaponry; thirdly, the phony claim, endorsed by Barack Obama in his Prague speech of 2009 on the theme, that obtaining a world without nuclear weapons is to be sure an ‘ultimate’ goal to be affirmed, but that it is not a political project that can be achieved in real time by way of a phased and verified nuclear disarmament treaty. In actuality, there is no genuine obstacle to prudently phasing out these weapons over the course of a decade or so. What blocks the elimination of nuclear weapons is only the dysfunctional refusal of the nine nuclear weapons states to give up the weaponry. It should be appreciated that this two-tier approach to nuclear weaponry is a departure from the approach taken to other weapons of mass destruction—that is, either prohibiting a weapon altogether or allowing its use in a manner consistent with the principles of customary international law bearing on the conduct of war (proportionality, discrimination, necessity, and humanity). Regimes of unconditional prohibition exist with respect to biological and chemical weapons, and are respected, at least outwardly, by the main global geopolitical actors. Why the difference? The atom bombs dropped on Japan were to a degree, despite the havoc, legitimized because used by the prevailing side in what was claimed to be military necessity and perceived as a just war. The contrast with the prohibition of chemical weapons widely used by the German losing side in World War I illustrates the lawmaking role of geopolitically dominant political actors that impose their will on the evolution of international law, especially in the security domain. The U.S. reliance on attack drones to engage in targeted killing, especially in third countries (Yemen, Somalia, Ethiopia, Pakistan) has raised controversial international law issues of sovereign rights in interaction with lethal acts of war, especially those far removed from the zone of live combat. The increasing reliance on drones during the Obama presidency has produced unintended deaths, civilians in the vicinity of the target and attacks directed at the wrong personnel, as with the NATO helicopter attack that killed 24 Pakistani soldiers who had been deployed near the Afghan border on November 25, 2011, provoking a major international incident (although not a drone attack, it was linked by angered Palistani officials to similar mis-targeting by drones). There are also unconfirmed reports of drone follow up raids at sites of targeted killing that seem directed at those who mount rescue operations or arrange funerals for prior victims. As with the Bush torture debate the political leadership in Washington has turned for justifications to government lawyers who have responded by developing drone legal briefs that seem somewhat analogous to the notorious Yoo ‘torture memos.’ There are, however, some differences in the two contexts that work against equating the two controversies about post-9/11 war making. Future war scenarios involve attacks by drones swarms, interactive squadrons of drones re-targeting while in a combat zone without human participation, and covert attacks using mini-drones. A further serious concern is the almost certain access to drone technology by private sectors actors. These musings are not science fiction, but well financed undertakings at or beyond the development stage. It is in these settings of fhere, especially, where the analogy to nuclear weapons seems most pertinent, and discouraging. Given the amount invested and the anticipated profitability and utility of drones, it may already be too late to interrupt their development, deployment, and expanding sphere of use. Unlike nuclear weaponry, already some 50 countries reportedly possess drones, mainly adapted to surveillance. As with nuclear weaponry, the United States, and other leading political actors, will not agree to comprehensive prohibitions on the use of drones for lethal purposes. Pundits in Europe and North America in recent months have delighted in citing with a literary smirk ‘zero problems with neighbors,’ which has been the centerpiece of Ahmet Davutoglu’s foreign policy agenda since he became Foreign Minister on May 1, 2009. Mr. Davutoglu had previously served as Chief Advisor to both the Prime Minister and Foreign Minister ever since the AKP came to power in 2002, and was known in those years as the ‘architect’ behind the scenes. Critics of the zero problems approach point to the heightened Turkish tensions with Syria and Iraq, the persisting inability of Ankara to overcome the hostile fallout from Mavi Marmara incident with Israel, and even the revived salience of the long unresolved dispute with the Armenian diaspora sparked by a new French law that makes the denial of genocide associated with the 1915 massacres a crime and has led to a dramatic worsening of Turkish-French relations. Troubles to be sure, but should these be interpreted as ‘failures,’ and more precisely as ‘Turkish failures’? Perhaps, Davutoglu was insufficiently cautious, or alternatively too optimistic, when he articulated the zero problems diplomacy, but was it not at the time an accurate way of signaling a new dawn for Turkey’s approach to neighbors, especially its Arab neighbors, and actually, to the world as a whole. And Davutoglu implemented his lofty vision with a dizzying series of initiatives that opened long locked doors. He also made it clear that the neighborhood was not to be understood in a narrow geographical sense, but rather in as broad a sense as disclosed by cultural and historical affinities and mutual strategic interests. Davutoglu was eager not only to banish lingering bad memories associated with centuries of Ottoman rule over much of the Arab world, as well as to renew connections with countries that shared Turkic and Muslim identities. It should be recalled that Turkish foreign policy began charting this new course years before Davutoglu became Foreign Minister, and thus was a shift in worldview that was shared with Recip Tayyip Erdogan and Abudllah Gul, the two dominant political leaders during the past decade. Indeed, both men deserve some of the credit, and a share of the responsibility, for steering the Turkish ship of state into such mainly uncharted waters of diplomatic initiative. In an important sense, the turning point came in 2003 when the Turkish government, after sending some mixed signals to Washington, finally refused to allow the United States to use its territory to stage an invasion of Iraq. At the time the anti-AKP domestic opposition challenged this unprecedented act of geopolitical insubordination by Ankara as the biggest mistake in the whole of Turkish republican history. In retrospect, this opting out of the invasion of Iraq constituted a transformational moment for Turkey that demonstrated to its neighbors and the world, and even to itself, that Turkey could and would think and act for itself when it comes to foreign policy, that the hierarchical alliances of the Cold War period were over, and that Washington should no longer take Ankara’s collaboration for granted. And yet this move did not mean, as some critics in both Turkey and the United States wrongly claimed, a turn toward Islam and away from the West or its continuing involvement in Western security arrangements. Even during the Iraq War Turkey allowed the Incirlik Air Base to be used by American combat aircraft, including for bombing missions. As recently shown, Turkey still values its NATO ties even to the extent of allowing radar stations to be deployed on its territory that is linked to a missile defense system that seems mainly intended to protect Europe, Israel, and the Gulf from Iran in the immediate future and possibly Russia in the long-term. By now it is almost forgotten that it was Turkey that encouraged peace talks between Syria and Israel to resolve their conflict that seemed to be headed for success until their abrupt breakdown, a development attributed at the time to the Israeli attacks on Gaza at the end of 2008, but in retrospect better understood as the unwillingness of Israel to give up its 1967 conquest and subsequent occupation of the Golan Heights. Turkey also sought to be a peacemaker further afield in the Balkans and Caucasus, doing the seemingly impossible, bringing Bosnia and Serbia together in a manner that moved these two antagonistic governments on a path leading to normalization and at least a cold peace. Even more ambitiously, in collaboration with Brazil, Turkey used its new stature as an independent regional player in May 2010 to persuade Tehran to accept an arrangement for the storage of a large portion of Iran’s enriched uranium in Turkey, thereby demonstrating the plausibility of a peaceful alternative to the United States/Israel posture of sanctions and warmongering. To be sure, the earlier sensible effort to have friendly relations with Syria has now badly backfired, but not until the regime in Damascus started the massive shooting of its citizens and refused to meet the demands of its people for far reaching reforms. Arguably, the same reversal of outlook in Ankara occurred in relation to Libya after Qaddafi threatened to massacre his opposition, leading eventually to extending some Turkish humanitarian support for the UN-backed NATO intervention in Libya in 2011 that shaped the outcome of an ongoing internal struggle for control of the Libyan political future. Also, there is no doubt that the refusal of the European Union to shift its one-sided stance on Cyprus that is punitive toward Turkey has had some serious consequences. It has soured relations with Greece, producing a temporary deterioration that has taken place despite the Turkish show of reasonableness and exhibiting a spirit of compromise in relation to Cyprus. And, together with the recent Islamophobic surge in Europe, this perceived unfairness to Turkey with respect to Cyprus has reinforced the weakening of an earlier Turkish commitment to qualify for membership in the EU. Even with Israel, despite the strong sympathies of the Turkish public with the struggle of the Palestinians, the AKP leadership has done its best to restore normalcy to the relationship between the two countries. After all, the May 31, 2010 attack by Israel’s navy in international waters on the Mavi Marmara carrying humanitarian activists and assistance to Gaza and challenging the Israeli blockade was not only a flagrant breach of international law but resulted in the death of nine Turkish passengers. Turkey has demanded an official apology and compensation for the families of the victims, a reasonable set of expectations that was apparently on the verge of acceptance by Tel Aviv, but collapsed at the last hour when challenged by the internal political opposition to Netanyahu led by the super-hawk foreign minister, Avigdor Liebermann, now under government investigation for fraud. What this brief overview argues is that Turkey has consistently tried to avert recourse to intervention and war in the Middle East and to promote diplomatic approaches that rely to the extent possible on soft power. It has, to be sure, experienced several geopolitical rebuffs, as in relation to its efforts to end the confrontation with Iran, impressively refusing to stay in line behind the bellicose leadership of the United States and Israel. Davutoglu has correctly affirmed Turkey’s resolve to act on the principled basis of its values and convictions, as well as strategic calculations of its interests, in the post-Cold War politics of the region, and not blindly follow directives from Washington. Iran is a striking case where the Turkish approach, although seemingly incapable of stemming the drift toward war being mounted by the West, is both wiser and more likely to achieve the goal of reassuring the world that Tehran means what it says when it insists that it does not intend to acquire nuclear weapons. As in every other foreign policy setting, Davutoglu is exhibiting his belief that in the 21st century persuasion works better than coercion when it comes to achieving political goals without even considering the costs of death, devastation, and displacement. In sum, the zero problems with neighbors as a touchstone to Turkish foreign policy in the Middle East and the world needs to be understood as an aspiration and strong preference rather than as an invariable and inflexible guide to practice. There are too many contradictions embedded in the political realities of the contemporary world to be slavishly tied to a rigid foreign policy doctrine that is incapable of taking account of context and shifting perceptions and interests. For instance, in Syria and Libya the Turkish government was forced to choose between siding with a regime slaughtering its own people and backing a disorganized opposition in its heroic if clouded efforts to democratize and humanize the governing process. Of course, there are suspicions that Turkey’s support for the anti-Assad insurgency also reflects a disguised preference for a Sunni opposition that is anchored, if at all, in the Muslim Brotherhood as compared to the secular authoritianism of the Damascus regime. As well, there are speculations that in the ongoing regional struggle for ascendancy Turkey would rather in the end side with Saudi Arabia and Egypt, reinforced by the United States, than Iran and a newly engaged Russia. Davutoglu on more than one occasion has expressed enthusiastic support for the upheavals grouped together under the banner of ‘the Arab Spring.’ He calls these upheavals great historical transformations that are irreversible, and expressions of a thirst by young people in their respective countries for lives of dignity and democratic freedoms. There is nothing that Turkey has done to thwart these high ideals. In this respect, I think it is possible to reach an assessment of Turkish foreign policy as of early 2012. It has charted a course of action based to the extent feasible on soft power diplomacy, taking numerous initiatives to resolve its conflicts with neighbors but also to offer its good offices to mediate and unfreeze conflicts between states to which it is not a party. Its credibility has become so great that Istanbul has replaced European capitals as the preferred venue for conflict resolution whether in relation to Afghanistan or even Iran, and despite its much publicized diplomatic differences with Washington. It is notable that despite Western annoyance with Ankara regarding Iran or resulting from the simmering dispute with Israel, the U.S. Government seems to favor Istanbul as the most propitious site for any prospective negotiations with Iran concerning its nuclear program. At the same time, as the policy reversals with respect to Syria and Libya illustrate, it is not always possible to avoid taking sides in response to internal struggles, although Turkey has delayed doing so to give governments in power the opportunity to establish internal peace. In a globalizing world boundaries are not absolute, and sovereignty must give way if severe violations of human rights are being committed by the regime. Even in such extreme circumstances armed intervention should always be a last resort, and one only undertaken in extreme instances on behalf of known opposition forces and in a manner that has a reasonable prospect of cumulative benefits at acceptable costs for the targeted society. Such conditions almost never exist, and so intervention under present world conditions is rarely if ever, in my judgment, justified, although bloodshed, oppression, and crimes against humanity may generate strong public and governmental support for interventionary diplomacy. We can only hope that Turkey stays the Dautoglu course, pursuing every opening that enables positive mutual relations among countries and using its diplomatic stature to encourage peaceful conflict resolution wherever possible. Rather than viewing ‘zero problems’ as a failure, it should be a time to reaffirm the creativity of Turkish foreign policy in the course of the last decade that has shown the world the benefits of soft power diplomacy, and a pattern that other governments might learn from while adapting to their own realities. This diplomacy, as supplemented by Turkey’s economic success and political stability, helps us appreciate the deserved popularity of and respect for the Turkish Prime Minister, Recep Tayyip Erdogan, throughout the region and the world. Due to scheduling conflicts I was unable to accept an invitation to speak at the 2012 National BDS Conference that has been organized by Penn BDS, a recognized student organization at the University of Pennsylvania, which happens to be my undergraduate college. I did agree to submit the statement to the conference that I post below in hopes of reaching more people who seek peace and justice in the Middle East, and an end to the long ordeal endured by the Palestinian people. BDS is a worthy cause that deserves the widest possible support from all those of good will with a concern about both the Israel/Palestine conflict and the unacceptable role being played by the United States Government in relation to the struggle and the region. It is a cause of deep regret that I am not able to participate in this groundbreaking conference. I commend the conveners for taking this initiative in the face of efforts to intimidate and confuse by those who systematically oppose debate and free inquiry concerning the various dimensions of the Israel/Palestine conflict and its bearing on American foreign policy. I have long supported the BDS as a constructive and creative movement that raises awareness and mobilizes support for the Palestinian struggle to achieve a sustainable peace based on international law and a sense of justice. The BDS movement was originated by grassroots Palestinian activism, enjoys wide and growing support among Palestinians, and is a shining symbol of the seismic shift in Palestinian tactics of struggle and resistance from violent tactics to nonviolent militancy, and from the territorial confines of occupied Palestine to the world as a whole. Such a shift is both principled and pragmatic, and deserves our encouragement and engagement in tangible ways. The targeting of companies and institutions that profit from Israel’s unlawful policies and practices is a creative and appropriate way for people from around the world to express solidarity with the Palestinian search for peace with justice. To seek sanctions is a means of exerting diplomatic and material pressure on Israel is light of its defiant refusal to accord the Palestinian people their rights under international law. The BDS movement is certainly inspired by the anti-apartheid global campaign waged so effectively against the racist regime in South Africa, but it also has its own originality. It is notable that Israel’s style of governance and occupation is increasingly perceived as a form of apartheid, which has been recognized in the Statute of the International Criminal Court as a Crime Against Humanity. I wish this conference the greatest possible success in spreading the word about the importance and relevance of the BDS campaign. It offers all Americans an excellent opportunity to become engaged and responsible citizens of conscience and offset the wildly partisan and unjust policies of the U.S. Government toward the conflict and its proper resolution.